Reach Arkansas legal professionals by advertising in The Arkansas Lawyer, the flagship publication of the Arkansas Bar Association. 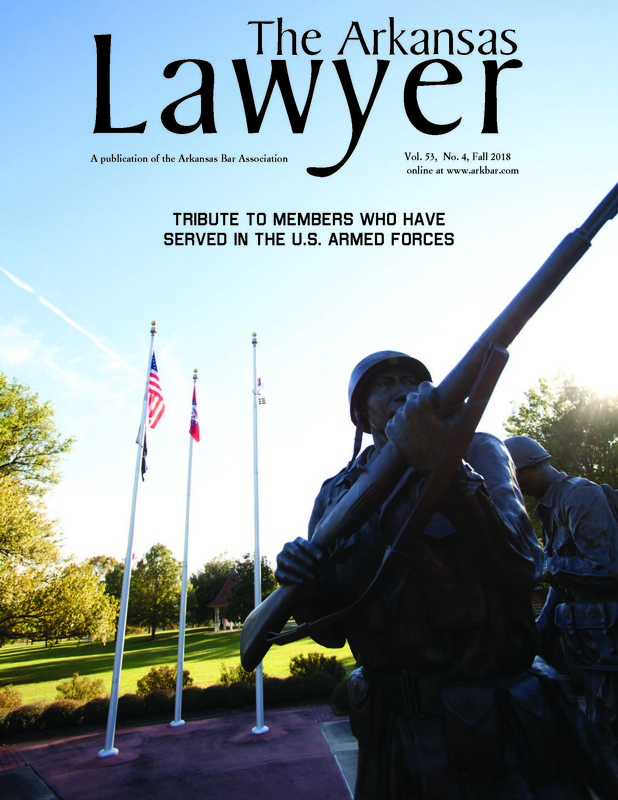 The magazine reaches more lawyers, judges, and other legal professionals than any other legal publication in the state. The circulation includes over 5,000 Association members and over 100 libraries across the nation. For more information on advertising in The Arkansas Lawyer magazine, contact Anna Hubbard. 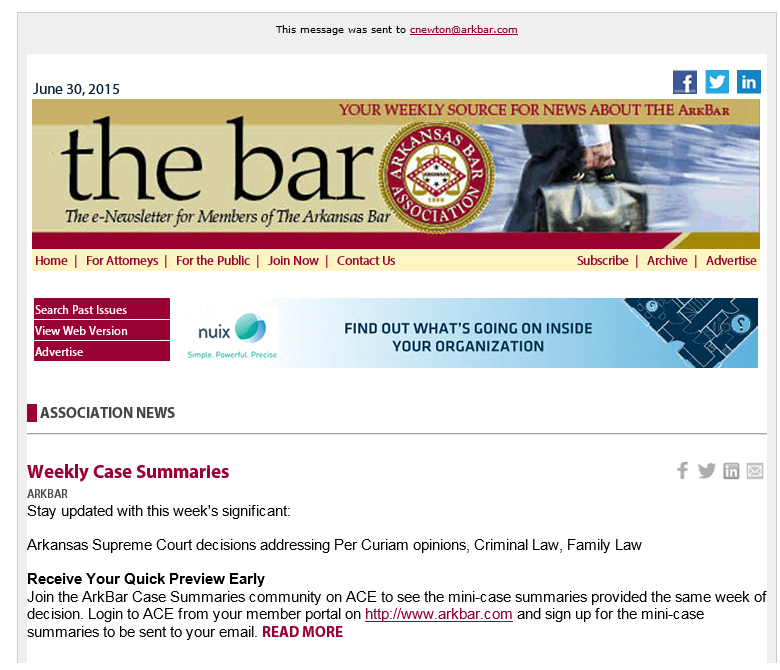 bar is an informative e-news brief that delivers the most relevant content to your inbox every Tuesday. to gforneret@MultiBriefs.com for more information. 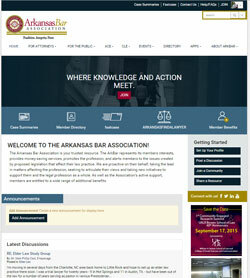 Advertise online with the Arkansas Bar Association. Exclusive placements on our website give your company the attention it deserves in front of 5,000+ legal professionals. For more information, click here.